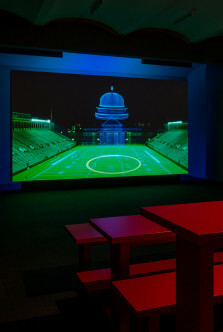 Spectacle sports have been the subject of Ericka Beckman’s work since the 1980s, but the recent US election has reemphasized their troubling place in American culture. 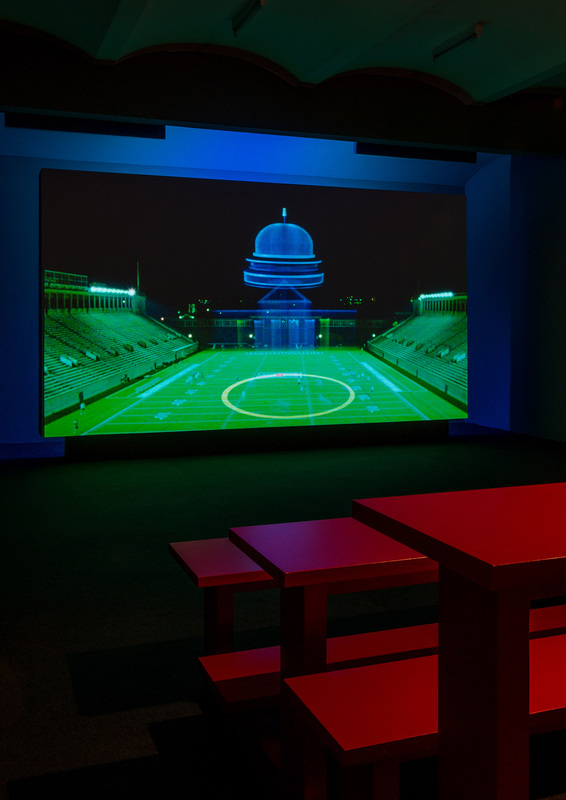 Here she discusses this political reframing of her work as part of the current rediscovery of her 1980s films, which are displayed at Vienna Secession. 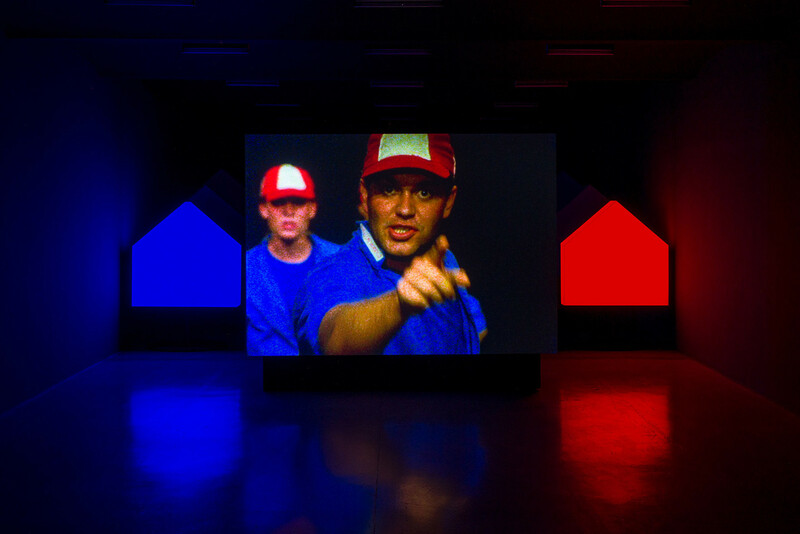 Ericka Beckman: I was very active in the 1980s, but that activity didn’t run in tandem with what was happening at the galleries. I showed media work in alternative venues that were active then, established by curators who didn’t get museum jobs. Those crowds were huge and lively, but they weren’t the commercial galleries. Galleries were interested in my work but didn’t know how to sell media art. I also submitted my work to festivals where the “avant-garde” showed, but it was never understood in that context. Fast forward. I was digitizing footage for 135 Grand Street (for the 2009 Pictures Generation exhibition at the Met), which is a compilation of art bands from the 1980s. That brought me back into contact with Dan Graham, whom I had known well, and some younger artists and curators who were working with him. I showed them my early work and they were taken by it; they saw it as really relevant at this time. 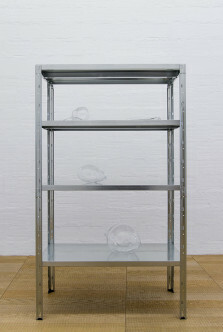 EW: But your rediscovery has occurred more in the European art world than in the American one. This is happening a lot to American artists—finding an audience in Europe before finding one here. EB: Yes, the culture of support there resembles the atmosphere that I had in the 1980s, before the art market got so commercialized. There was a tremendous amount of collaboration, cohesion, discussion. People were not afraid to work with one another’s ideas and take them further, or to advance others’ careers. I find that in Europe one hundred percent. Get-togethers are not as formal; events and dinners aren’t “sponsored.” Although I was frightened when I realized there’s no production support in Europe for nonresident artists. You have to wiggle it out of your means here in the United States, and then the galleries will sell it once it’s produced. EW: This renewed attention to your work also gets back to frequent comments that you’ve been a filmmaker and artist ahead of her time. 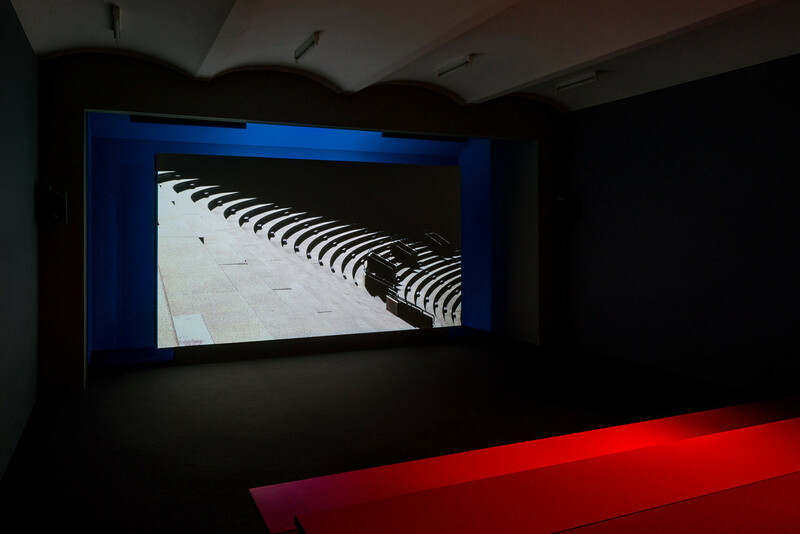 You’ve always taken technology as a medium and subject in your work, and technology has changed a lot since you started working in the 1970s, yet you’ve retained a remarkable degree of aesthetic and conceptual continuity, because you’re speaking about it in the abstract—working with celluloid to talk about virtual reality. EB: My original interest in technology was particularly about women’s roles in the workplace, and about the relationship between work and play. It evolved from studying play, work behavior, and social conformity. I became interested in technology in the early 1980s when I realized that robots were replacing people in production. For instance a technology takeover structures Cinderella (1986). The film starts in the first factory, a Forge, then evolves into something very similar to what we have now, where everything is reproduced from information—but that was 1986. When I was making Cinderella, I was studying how interactive games were programmed. I structured the script as a set of hyperlinks; I was interested in interactive games but not in making a game product. Hiatus (1999/2015) developed immediately after Cinderella, when I went into what I called a hiatus, to do research at NASA Ames. It’s 16mm film because in 1994 there wasn’t any computer technology that could do what I wanted. CGI was just forming. I didn’t want to get lost in farming out my work to other people, but I did want to make a complex piece. EW: Right, you’re very involved in all aspects of production. EB: People didn’t understand Hiatus when it came out in 1999. It was perceived as a contradiction, because I was using analog film. 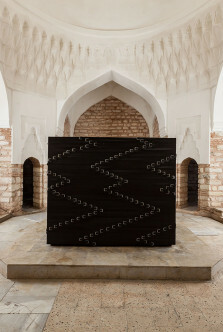 I wanted it to be about interactive technology rather than being interactive technology. I never showed it again until younger curators wanted to screen it. Then I edited it for digital and as a dual-screen piece in 2015. 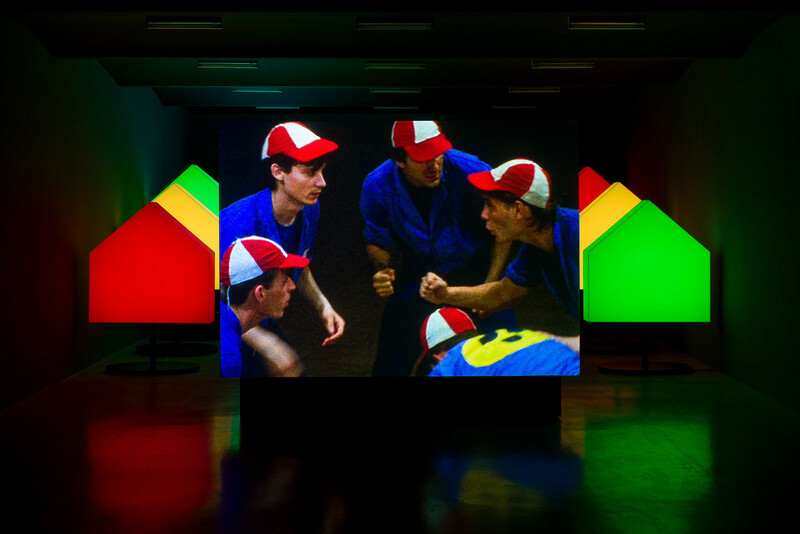 EW: Your work is rooted in rules, structures, and Structural film, but it’s also very playful—it’s about games. I love this playfulness, especially in the context of the (mostly male) Structural film being made when you were starting out. EB: The main thing was putting the body back into film. Other women like Kathryn Bigelow and Lizzie Borden were also part of the experimental film world, but moved to Hollywood because the narrative experiments they were taking with character and context didn’t find a New York audience at that time. I did a lot of personal research to ground my belief that the body can communicate through signs and gestures. In my films, anytime something can be expressed as an action rather than a word, I do it. EW: In your earliest work, but not your later work, it’s you performing. What changed? EB: It was very practical. I wanted to get behind the camera. I didn’t want to hire a cameraperson and have to translate my ideas. But I was also less confident then. I showed my work rather privately, in an incubator with other women artists like Julia Heyward, Joan Jonas, Dara Birnbaum. 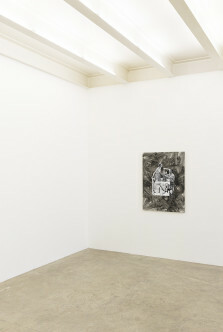 EW: And later your peers start performing—like Mike Kelley and Ashley Bickerton. You also start taking on archetypes of women rather than your specific self. EB: It was a conscious thing to switch from men to women. When I started, I was just thinking about performers as performers; it wasn’t a gender issue. But it made sense to cast men playing games, because most of the figures you see in action are men. 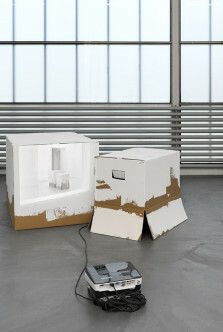 EW: Your earlier work references architecture but still takes place in the black box. In Switch Center (2003) you left the black box for the first time, and made a film set in a Soviet building. EB: Architecture is what I’m currently working on. Switch Center was shot mostly by me with a Bolex camera in an empty building. Like an observational filmmaker, I responded directly to that space—its scale, sounds, and light. A Pokémon commercial was filmed the night before I got there, so I incorporated the Pokémon as part of my experience of that space. The driving question was, “What would happen if I could find the energy lines in architecture, and if I could perform them?” The circular movement was created by me animating around the rims of the water tanks; I responded to everything I saw as an architectural line with movement. EW: So the physical structure structured your behavior, like rules in a game. EB: Yes, and I played it. I designed the film based on the shapes of the spaces and the light moving through those spaces. That led me to the Harvard stadium [for Tension Building (2015)], the perfect place to see how to use a set of proportions and focus points. Engineers use a viewfinder that fixes their perspective point, and then they move around it and take measurements to find where they are in space. I did that on the stadium as an experiment. I held one view and just moved around it, animating the space. 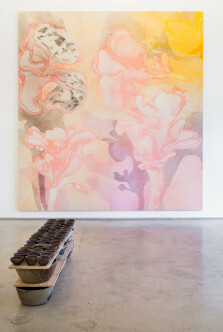 EW: What should we look forward to at your summer Secession show? EB: It’s for Europe. 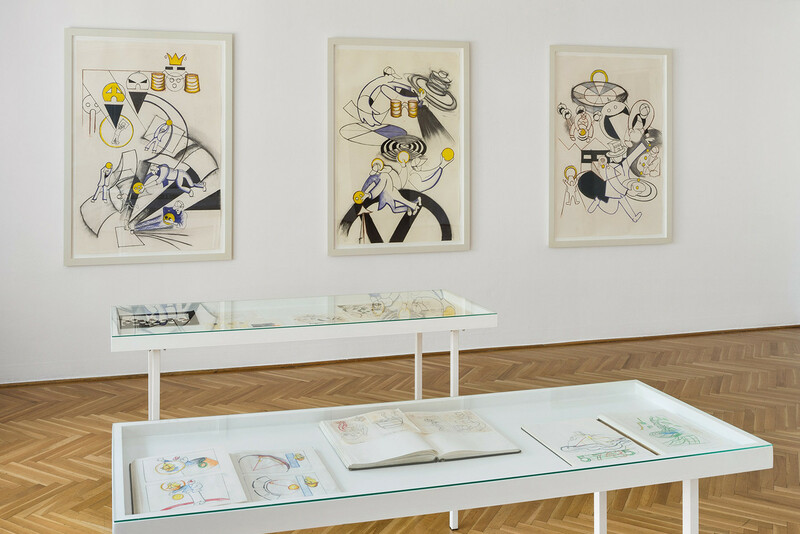 I’m showing two films, and a room of drawings that haven’t been shown before. 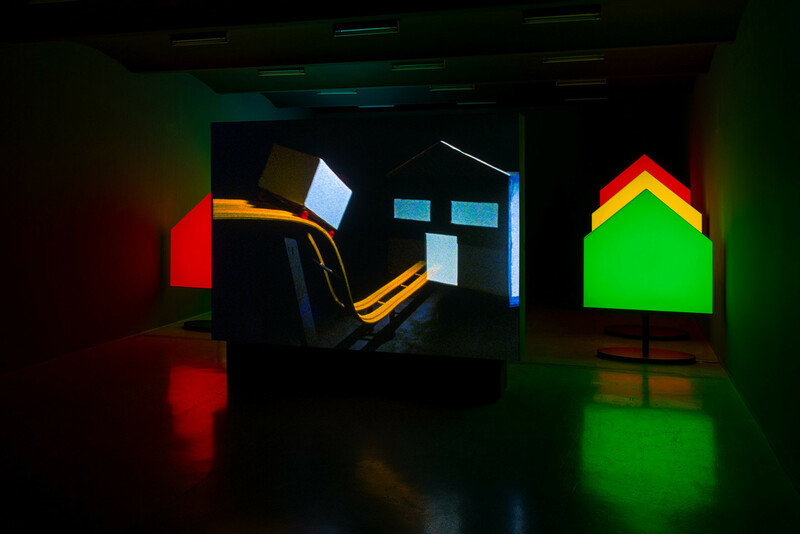 One film is the installation You the Better (1983/2015), which includes eight fully animated houses that change colors but also become different things in the film. They line up way in the deep space to become the point of view of the main character when he starts to see the structure of the game. Then they become a scoreboard. I hold that piece very dear because it spatializes the film in a very special way. There’s also a new version of Tension Building. I’ve updated it since the Trump election to bring out a critique of spectacle in American culture. You the Better features spectacle sports; the guys perform to a set of rules but miss the whole point of what they’re doing. That idea of spectacle sports is enhanced in Tension Building, which gnaws at American culture and what we have become recently.